Getting the opportunity to catch up with children I’ve met previously is always a favourite part of my job. In 2016 I first met Maria and her daughter Fatchima who was only 14 months old, in Niger a mostly dusty, dry country where bringing up a family is a daily challenge. No mother should have to watch her child starve. But Maria, Fatchima’s mother did. In the midst of a food crisis in Niger, hunger stalked Maria’s young daughter Fatchima. Maria and her husband, a farmer and water merchant, were working long hours to try and put food on the table. But when there wasn’t any water to sell at the market and their crops are withering to dust, life became a daily struggle. Sadly, with food and water shortages worsening, Fatchima grew frail and started getting sick after she began drinking water from the village well. As weeks passed, the diarrhea became more watery. Food remained scare. Then, Maria began noticing the outline of bones that used to be hidden under Fatchima’s once-plump arms, legs and cheeks. 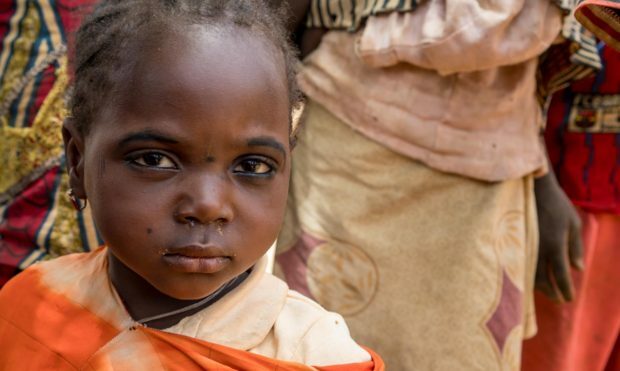 Maria knew that without nutritious, fortifying food and the proper vitamins and minerals growing children need, Fatchima’s survival was in jeopardy. Frantic and desperate that her daughter had literally become skin and bones, Maria took a brave step. She used a full day of her husband’s meager pay to hire a man with a motorcycle to drive them over treacherous dirt roads to reach the nearest Save the Children malnutrition unit. It was a decision that saved Fatchima’s life. Anxious and scared, Maria quickly learned that Fatchima’s condition was critical. Weighing just 11 pounds, little more than when she was born, Fatchima was in what her nurses called the “danger zone.” Children 7 to 18 months old in Niger and other developing countries are most susceptible to acute malnutrition and waterborne illness, which makes them most vulnerable to rapid dehydration, infections and death. 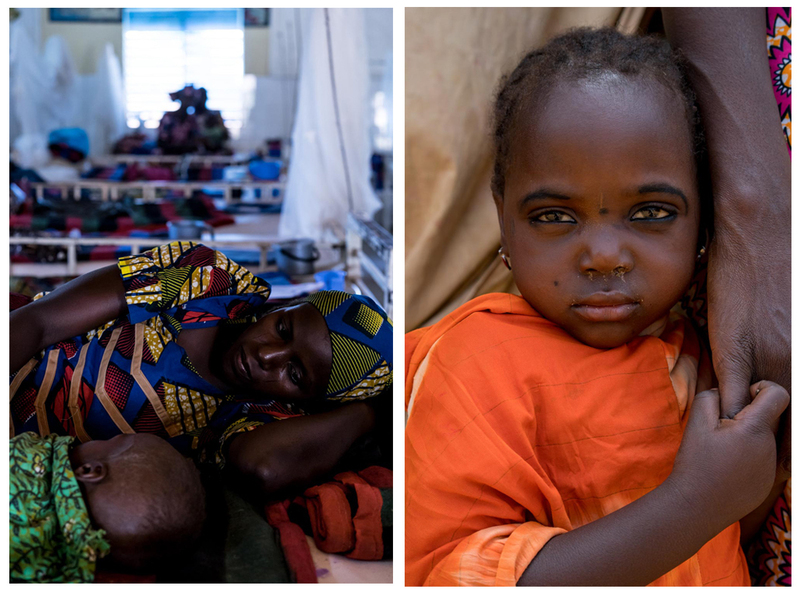 I first met Maria and Fatchima after they’d been admitted to Aguie clinic for lifesaving treatment for malnutrition. I was very privileged to spend a week with them at the clinic while Fatchima gained strength day by day until she was discharged to go home. Over the course of the week Maria started to relax once she knew her daughter was on the mend and Fatchima slowly became cheeky and playful as she regained strength. It was a wonderful transformation to witness. Watch this video I filmed and edited that follows her journey of recovery. In 2018 I returned to Niger to try and find Maria and Fatchima in their small village. It was so heart warming to see Fatchima, now three running around and playing with her friends, a healthy, happy girl. Of course she couldn’t remember me and like most three year olds she was extremely bashful and shy when I turned up and ran to hide behind her mother’s skirt! Here are two pictures, one from 2016 when she was admitted to the clinic and one in 2018 hanging onto her mother’s hand.